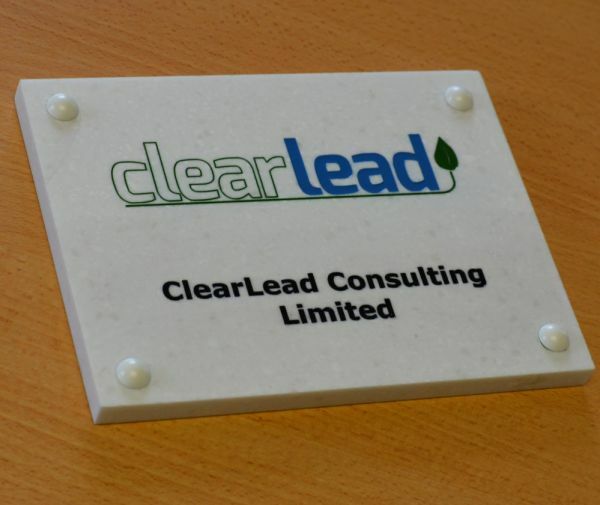 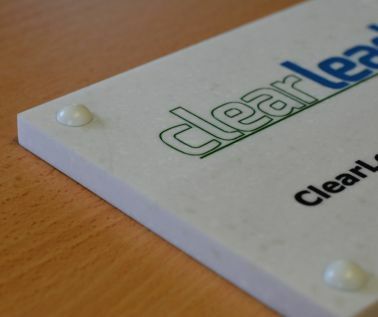 Select our Marble effect Corian nameplate to make your business stand out from the rest. 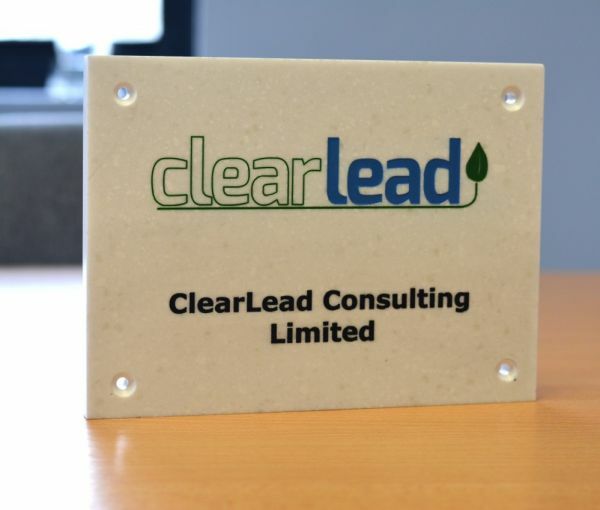 These long lasting plaques are deep engraved and infilled with a contrasting colour, making your plaque really stand out when proudly on display. 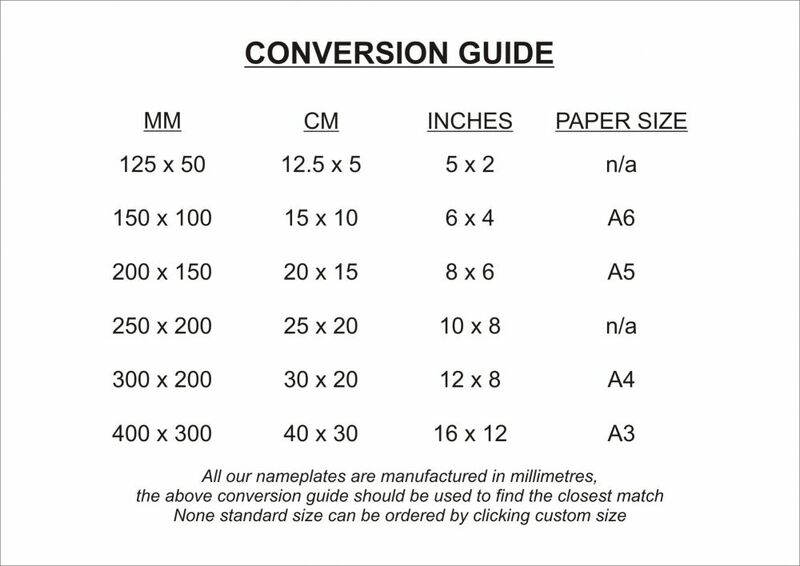 Logo’s and borders can also all be included to enrich your nameplate. 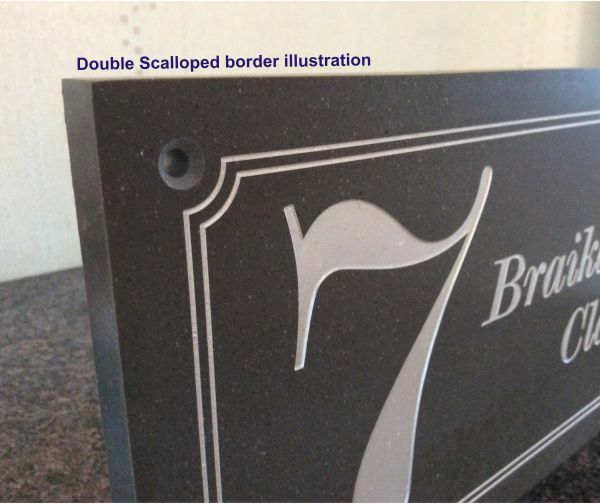 The standard border incorporates scalloped corners which surround and highlight the screws. Marble Effect Business Plaques are supplied with 4 x fixing holes, screws and powder coated domed caps to conceal the screw head.